In the high-stakes field of fiber optics, precision makes all the difference. Whether it’s guiding an armed projectile to a hostile target, or relaying priceless scientific data during a marathon deep-sea dive, our customers require flawless performance from our fiber-optic dispensers in a wide variety of military and commercial applications. At SCI Technology, we’re up for the challenge. Our unique precision-winding technique allows for a full range of trouble-free payout speeds, from slow to supersonic and everything in between. This makes SCI’s dispensers the perfect choice for any tethered fiber-optic system, whether it’s in the air, on land or under water. And our cables are as adaptable as they are advanced, delivering an array of guidance and control functions for transmitting video, telemetry and commands bidirectionally in virtually any environment. SCI has the all the tools and knowledge needed to make your project a success. Our experienced engineering staff, state-of-the-art payout testing lab and dedicated manufacturing facility stand ready to support any fiber-optic program. We’ve supplied dispensers for cables that have journeyed to the bottom of the ocean and back, delivering crucial data in support of HROV Nereus’ scientific mission to the darkest reaches of Challenger Deep. We’re also a long-time Department of Defense supplier, providing dependable yet innovative solutions for various mission-critical programs. Wherever the need arises, SCI has you covered. 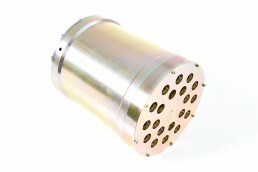 Capable of slow to supersonic payout speeds, with flawless operation at extreme depth and pressure. Designed with our advanced understanding of packing mechanics and payout dynamics. Tested and wound in-house, to customer specifications. Fielded in a variety of military and commercial applications. Supported by decades of experience in research, prototyping, testing and production.